Sony aims to step up sales of its PlayStation 4 game console to drive growth in its network services such as streamed games and video and recapture the momentum its hardware business has lost against rivals such as Apple and Samsung. Chief Executive Kazuo Hirai said on Monday that while Sony's flagship electronics division would put profit before sales volume as it tries to pull out of the red, games would be an exception as the company expands its reach in networks. "We have to rigorously pursue install-base numbers," Hirai told a meeting with reporters at Sony's headquarters in Tokyo. "The biggest driver for our network business will be the PlayStation 4," he said, adding that the network business, where sales jumped 70 percent in the year to March to $1.96 billion, would in turn be a key growth driver for the company as a whole. Sony's network services have 52 million active users, most of whom own PlayStations, which come packaged with online content services and apps to watch movies or listen to music on demand. Using hardware to spread its ecosystem of content services is a 20-year-old ambition at Sony, which has tried many times to bridge the gap between its Japanese-designed devices and its U.S.-based entertainment business. Sony's co-founder Akio Morita bought Sony's movie and music businesses in the late 1980s, Hirai said, with the intention of using consumer devices to deliver their content. "Now we've got broadband and can send content in the blink of an eye ... the technology has finally caught up with the times," he said. As Internet speeds pick up, streaming and online services such as Spotify, Netflix, Hulu and Amazon.com Inc's Prime have proliferated, freeing consumers from rigid TV broadcast scheduling and hard drives that store music and movie files. Broadband is now fast enough that Sony can start preparing to offer the first streaming service for its home game console titles. The company has started offering a pilot version of a cloud-based game streaming service called 'PlayStation Now' in the United States, which will be made available on its Bravia TVs, handheld PS Vita consoles and, eventually, non-Sony devices. 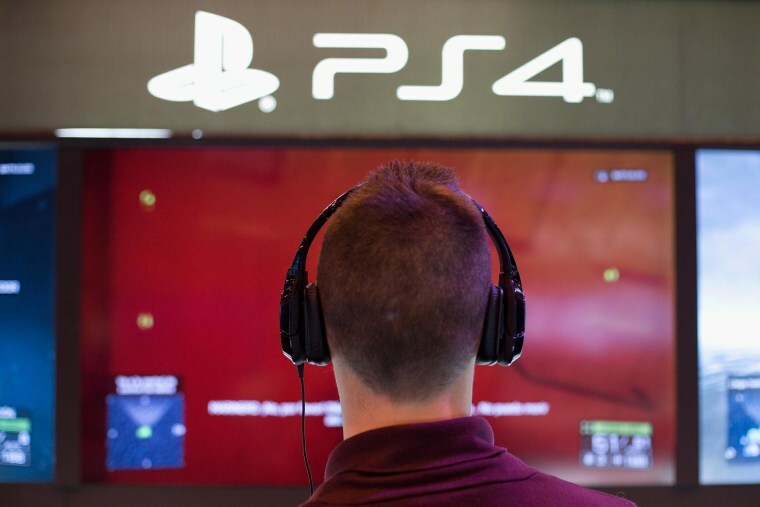 The service is just one weapon Sony is deploying in the battle with rival console developer Microsoft, whose Xbox One had sold 5 million units as of April 18, fewer than the 7 million Playstation 4 consoles that had been sold as of April 6.